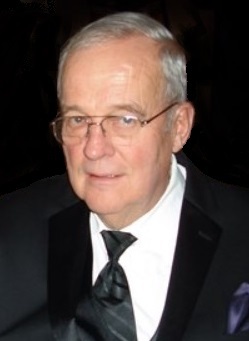 John “Jack” Howard Smith, 79, passed away peacefully surrounded by his family on Saturday, April 6, 2019 in Belle Plaine, Minnesota. Visitation will be from 4-8 P.M. on Wednesday, April 10, 2019 at the Kolden Funeral Home in Belle Plaine and continue one hour prior to Mass at church on Thursday morning. Mass of Christian Burial will be 10:30 A.M. on Thursday at Our Lady of the Prairie Catholic Church in Belle Plaine, Fr. Brian Lynch will officiate. Interment will be in Sacred Heart Catholic Cemetery in Belle Plaine. Jack was born in Minneapolis on July 27, 1939 to Ken and Ursula (Frank) Smith. He was baptized & confirmed at Sts. Peter & Paul Catholic Church in Belle Plaine. He grew up in rural Belle Plaine and graduated from Belle Plaine High School in 1957. On October 22, 1963, he married Helen Schlueter of Le Sueur. They celebrated 55 years of marriage this past year. Jack farmed near Belle Plaine in Faxon Township and worked as shop foreman at Tel-E-Lect and RMS, retiring from Minnesota Valley Electric Cooperative. He enjoyed farming, working hard, being with his family and taking trips to the river bottoms to watch the wildlife. He loved to tease and be teased, and had a tender heart for all of his grandchildren. Jack is preceded in death by his parents Ken and Ursula Smith, sister Barbara “Bunny” Moriarty, brother, David Smith, mother & father in law Leonhard & Henrietta, brothers in law, Roland Schlueter & Jerome Moriarty.